Issues related to family law are among the most stressful a person can have in his or her life. Whether you are going through a contentious divorce or are trying to have an existing child support order modified, disputes related to your family relationships are often emotional and challenging. When you are involved in a family law matter, not only do you need to deal with the substance of the issue, you will also need to be attuned to Illinois family law and legal procedures. 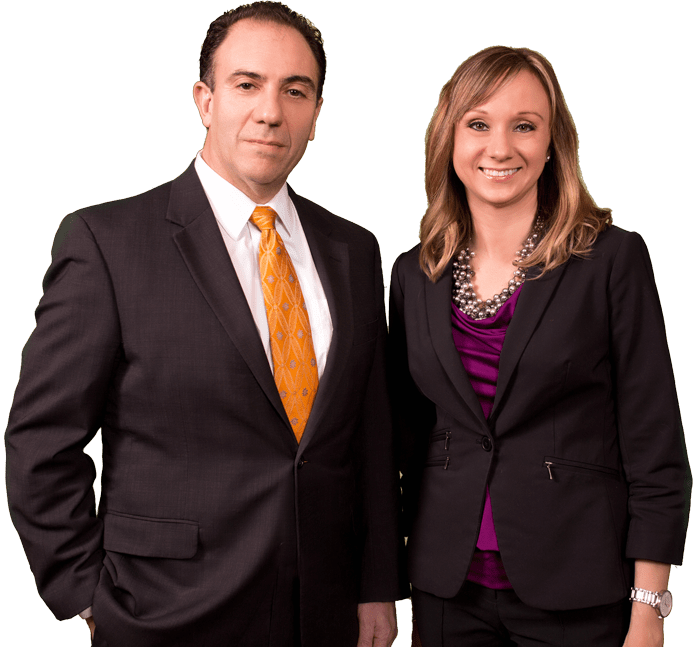 The skilled attorneys at Nigohosian & Dahlquist, P.C. offer personalized service and are dedicated to putting your needs first. If you are going through a divorce or are involved in any other family law dispute that may require litigation or negotiation, contact our office to discuss it with an attorney. We are able to assist you with your case and help obtain a fair and reasonable outcome that is in your best interests. When most people think about a family law matter, they tend to focus on divorce. While it is certainly true that divorce makes up a significant percentage of our practice, we also offer qualified legal representation regarding any matter that falls within the issues governed by Illinois family law courts. Brian was referred to me by a friend. He is very nice and easy to work with. He communicated with me in a timely fashion and was very responsive. He was the epitome of professionalism. He always looked out for my best interests, even when I didn't necessarily agree with him. He took a fresh approach to my situation, which I had gotten too emotional about. He has a great assistant who got my messages to him accurately and was patient throughout the process. I highly recommend Brian and his staff. Michelle's professionalism and knowledge outshines in the court room. She is extremely honest and very easy to work with. She kept me informed and was very prompt with returning e-mails and phone calls. Even after my case was complete she kept in contact to make sure things were going smoothly. She's a passionate and trustworthy attorney to have on your side. I've referred Michelle to a few friends and they have equally loved her! Mr. Nigohosian came to the rescue when my last attorney was failing me. I was loosing everything due to a vindictive ex-wife. A huge thank you to Mr. Nigohosian for flying in with his cape, his vast knowledge of the law, his professionalism, his understanding and his wisdom. I feel confident knowing he is on my side and ready to defend me. He's been there for me several times now and I've come out on top. He's helped me move on with my life in a very positive direction. Brian was an excellent advisor that kept me informed every step of the way through my divorce. He was always professional and very straight forward. Given the nature of my case, he helped me close my case out within 3 months! (Although I've been told that this isn't typical) Brian kept the fees fair and also gave me a fair agreement with my ex-wife while also keeping in mind my rights as a father. I hope I never have to do it again... however, if I had to do it all over again, I wouldn't think twice about using Brian again. Michelle was really great to work with during my divorce. She was very knowledgeable with navigating such a difficult experience. She was very timely with responding to emails and was always willing to speak over the phone if I had further concerns that couldn't be addressed through email. I felt like Michelle was very fair throughout the process and was able to realistically explain pros and cons of every decision, even down to various wording in documents. I would highly recommend Michelle for anyone looking for an attorney. At Nigohosian & Dahlquist, P.C., we are committed to providing effective and solution-focused legal counsel to individuals with legal needs related to family law and divorce. With over 40 years of combined experience, we understand how to advocate for our clients' interests aggressively and are equally comfortable in the courtroom as we are at the negotiating table. We work with residents of Glen Ellyn, Downers Grove, Hinsdale, Lisle, Darien, Naperville, and the surrounding communities. We will also travel to Kane, Kendall, Will, and Cook Counties. To schedule a consultation with one of our attorneys, call us today at 630-462-0610 or contact us online.